Dr. Lipschultz is Isaacson Professor, UNO Social Media Lab and School of Communication, University of Nebraska at Omaha. Contact him at (402) 554-2600 or @JeremyHL on Twitter. 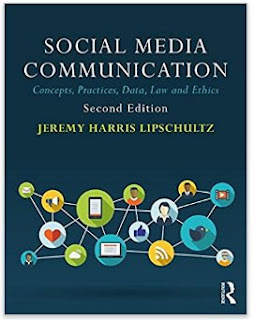 Social Media Communication: Concepts, Practices, Data, Law and Ethics (2018) is now available!